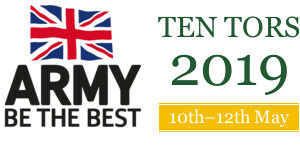 Welcome to the Ten Tors 2019 web site. You can look back on Ten Tors 2018 and previous years in the archive. 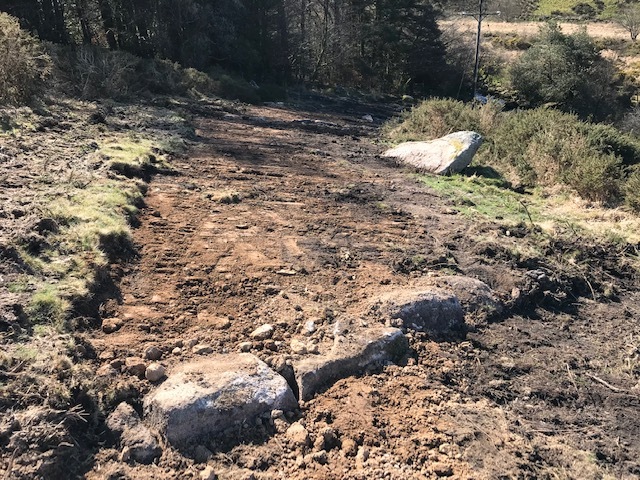 Money that you have donated has been used to repair erosion below Hartland Tor, Postbridge. Please continue to donate generously so more work vital work can be carried out. This year the Jubilee Challenge is being included in Pre-Registration and the Event’s Management Information System to enhance safety. The Ten Tors Rules https://www.tentors.org.uk/rules/ten-tors-rules Paragraph 41 provides detailed information on specific Rules relating to self-sufficiency and safety for the Jubilee Challenge. Pre-Registration for the Ten Tors Challenge and Jubilee Challenge opens on Wed 3 Apr 2019 and will close at 2359hrs Wednesday 1 May 19. Experience from previous years shows that Team Managers who Pre-Register accurately progress through Registration significantly more quickly than those who do not. Please note that the information that you enter is stored securely and is not made available to you or anyone else until Registration on Fri 10 May 19. Below, for Team Managers, is a step by step guide. Check that the list of teams at Ten Tors Challenge Teams or Jubilee Challenge Individuals and Teams is correct. Inform the TT Secty by email if it isn’t. If you are going to have to withdraw a team or individual please email as soon as possible. In the menu, go to the Ten Tors Challenge or Jubilee Challenge tab then your Dashboard and log in with your usual email address and password. Don’t leave this to the last minute; start filling in the Pre-Registration fields now to ensure you have access and know what is required. At the bottom of the Dashboard, there is a section listing your team and individual places. If you have more than one team or individual on the same distance or route they will have been differentiated with A or B. Click to access the Pre-Registration form for each of your teams or individuals. In addition, for Jubilee Challenge, you have a section for entering ‘Jubilee Challenge leaders/adults’. Once completed, you will be required to allocate the Walking Leader, DBS-checked adult and other assistants. Each team / individual is pre-populated with the Team name, and your name and mobile phone number from the information you have entered on the database. If they are incorrect click on the link back to ‘Your Dashboard’ and amend. They will then be updated automatically on the Pre-Registration form. Add your Deputy’s name and mobile phone number. If you have more than one team, you may nominate up to 3 Deputies in case your teams finish in quick succession. Enter the name, date of birth and pre-existing medical conditions of the Team Leader. The format for dates of birth is dd/mm/yyyy (eg 05/11/2002). The age of participants will be checked automatically against the Ten Tors Rules. If it is not within the parameters, you will be alerted by the outline of the box turning red when you ‘Save Progress’. For Ten Tors Challenge only, complete the ‘Experience’ field if you have been asked to or, for the 55 mile Challenge, if the participant is 17 years old and has completed 35 or 45m Challenges to qualify to participate in the 55 mile Challenge a year early. Complete the Medical Notes with pre-existing medical conditions, medications used and allergies for participants and Jubilee Challenge Walking Leader, DBS-checked adult or other assistants. This is vital information for the Ten Tors’ doctors and paramedics. Please be accurate and comprehensive – if in doubt include it. This information will only be made available to Medical Practitioners in the event of an emergency and will not be used to screen participants’ suitability to attempt the Challenge; that is the Team Manager’s responsibility. Do not enter any other information in this field. If the participant or Jubilee Challenge adult does not have a pre-existing medical condition, do not put anything in the field. Enter, in any order, information for the remaining team members. Six for the Ten Tors Challenge and up to 8 for the Jubilee Challenge. Complete the quantitative ethnic information of participants, which is anonymous. Click on ‘Save progress’ at the bottom of the page. If all fields marked with an asterisk ‘*’ have been completed, and the dates of birth are within the Ten Tors Rules, the information will be saved. If not, the problem areas will be highlighted with a red line around the box. If you wish to print out your Pre-Registration, click on ‘View a summary of all team details’ from the Dashboard. The link opens a web page with a simple list of the details entered. You can either look, save or print it (using the link in your browser menu, usually File > Print or Right Click > Print). You can confirm that your Pre-Registration has been completed by checking that there is a green tick on the Team List. Team Manager/Deputy Team Manager. If either will be walking with a team as Walking Leader, DBS-checked adult or other assistant, repeat their details on the Jubilee Challenge Leader/Adults page. However, do remember that each Establishment must have at least one DBS checked adult in Okehampton Camp to receive any participant or adult that Falls Out. This person must be listed as the Team Manager or input as the Deputy Team Manager. Jubilee Challenge Leaders/Adults. Please enter the details of all adults, who will be walking as Walking Leader, DBS-checked adult or other adult assistants. You will be required to select from this list those walking with a specific individual team. Team Details. If more than 8 participants have been entered for a specific route, two equal teams have been created. If the TM wishes to have unequal teams, please e mail the Ten Tors Secty so that they can be created ready for you to enter the participants’ details. If an Establishment has insufficient qualified Walking Leaders or DBS checked adults then the Establishment may arrange to complete the Challenge with another Establishment. If this is the case please email the Ten Tors Secty with details of which Establishment you have made arrangements with. Rule 41.5 is amended to allow up to 13 in a team; 8 participants and 5 adults. Rule 41.8. Team Managers may request that a member of the Ten Tors staff accompany their Individual / Team through the Challenge however this assistance will be at the Director’s discretion and is not guaranteed. Application, with justification, is to be made by e mail to the TT Secty by 2359 Wed 1 May 2019. Note that Ten Tors Staff cannot be designated as DBS-checked adults or Walking Leaders. Information can be added or changed at any time up to 2359 hours Wednesday 1 May 19 when Pre-Registration closes and is removed from the website. Should any changes be required after this, you will need to make the amendments at Registration in Okehampton Camp on Fri 10 May 19. 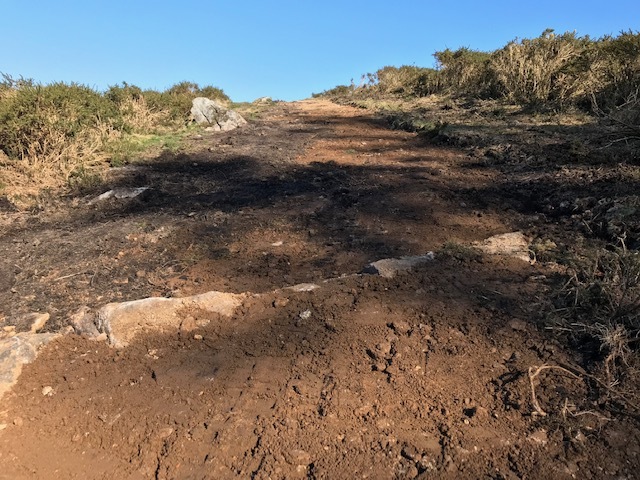 This information will be held during the Event on the Ten Tors Management Information System and unless anonymised will be destroyed after the Event. Only the Establishment, Team Manager’s and Group Leader’s details will be retained in the secure database ready for 2020. If you need to contact the Ten Tors Team please do so by email to SWHQ-TenTors-MAILBOX@mod.gov.uk . To keep track of the numerous emails, please write your Establishment Code, Establishment Name and topic in the Subject Field. The TT19 Final Planning Conference (invite only) will take place at Okehampton Camp on Tue 23 Apr 19 starting at 1000. Team Managers are invited to fill some team vacancies in Ten Tors Challenge 2019. 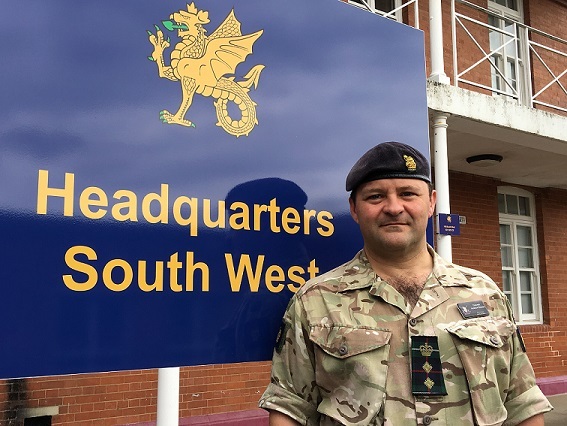 Requests are to be submitted to SWHQ-TenTors-MAILBOX@mod.gov.uk by the 26 March 2019. The Selectors will give priority to cadets then those Establishments with only one team at a given distance and finally those Establishments wanting 3 teams at a given distance. Payment will be requested after the selection has been made.